Saddle seat saddles are a type of English saddle which are used with high-gaited breeds like the American Saddlebred. 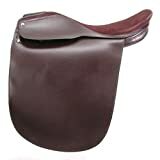 Saddle seat saddles are also called "Cutback saddles", "Park saddles" and "Lane Fox saddles". 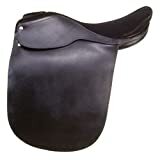 Saddle seat saddles are long and flat, which allows the rider to sit farther back on the horse.